Upcycle Ideas for the stack of t-shirts that I have! And I know all my girlfriends have too. Many loved ones from our more youthful days, orfavourites that we can’t possibly throw away and the many that have somehow just hot too small for us!!! Shrinkage rather than our expanding bodies! Lots have great features or designs on the front that seem too good to just throw away. Hense we all have stacks of t-shirts like comfort blankets squireled away. That’s a lovely dress Chinelo! Yes, up-cycling something would be useful! Would this be suitable for a UK size 28? And where does the waistband sit? I couldn’t wear anything that sits on my natural waist! Sorry Chinelo for the misspelling. Hi, I’m getting married next year and would LOVE to make my own wedding dress (or at least help to create it). I’m quite a creative person, and have a good understanding of what works well for my body shape, but have less experience with dress making, having just made a few items of clothing/curtains/cushions in the past. I know it’s a long shot, but was wondering if you would be available to offer advice/guidance to help me get started on this project, or help adapting/creating a pattern for the dress? I thought the couture dress you made in the final was gorgeous! Huge respect! 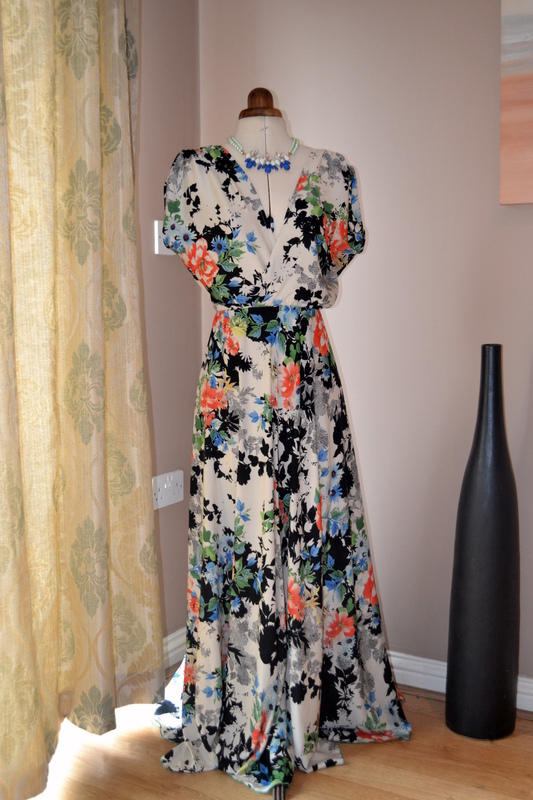 I attended your maxi dress class a few weeks ago and have made a few versions already! I am very interested in your peplum top class, but you mentioned that you are unlikely to hold one of those in the near future. You also mentioned that you had a step by step video for the construction of the top and I was wondering if you would consider sending it to me? I am happy to also pay a fee for the video instead of a class if that would be possible. I attended this workshop, but haven’t received the video tutorial yet. Have you had a chance to finish it and email it out? The workshop was really great, and a good challenge. I’ve had some lovely comments on my dress. I would also like to second Judith’s request for you to share the video tutorial for the peplum top. Since attending the maxi-dress workshop I have moved overseas and can’t attend your workshops any more. I would willingly pay for the video tutorial if that is possible. Can you contact me to let me know if there is any way to arrange this. Please come back to your blog! We want more! Just saw reruns of Sewing Bee & loved your vision the best! So inspiring, and gonna make this Maxi for summer 2018!